After causing chaos in Liberty City, the shadowy agents of Tony Stark seek to get their technology out into the real world. 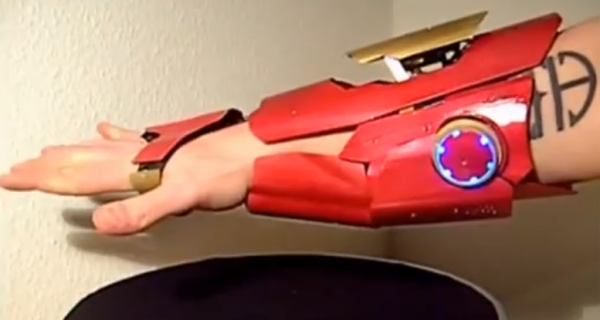 Patrick Priebe of Laser Gadgets has created an impressive replica of Iron Man’s gauntlet. Priebe shows off his creation, wherein he ends the short, sad lives of two little balloons. Though, it should be noted that due to the quirks of SCIENCE, black balloons are remarkably easy to pop, whereas, say, a white balloon would probably easily withstand the wrath of this gauntlet. Priebe’s not giving away his trade secrets, so unless you have your own cave and/or box of scraps at hand, you should seek him out if you want your own.